KUCHING: Sarawak should use politics as a platform to move forward and position itself as a state that is united, visionary and culturally cohesive. Chief Minister Datuk Patinggi Abang Johari Tun Openg said this should be the mantra practised by the people and not to use politics as a means to quarrel. “My Barisan Nasional (BN) team including Minister of Local Government and Housing Minister Datuk Dr Sim Kui Hian and the rest…we are constantly using politics as a way to move forward and not use politics to quarrel. 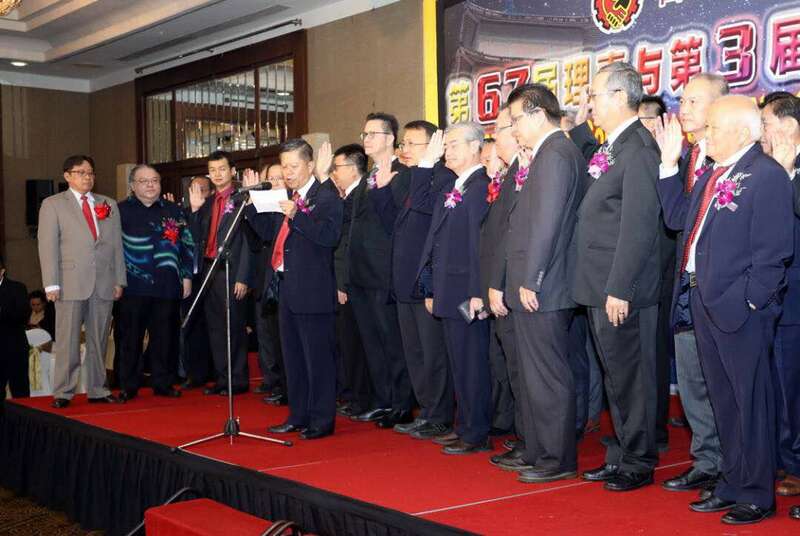 “If politics is meant for quarreling, you are finished because nobody will benefit,” he said at the 67th installation of Kuching Chinese General Chamber of Commerce and Industry (KCGCCI) committee and Third Youth Section here on Monday. Abang Johari, who is also state BN chairman, advised the people not to emulate the culture of ‘picking fights’ on social media. “We don’t want to follow the culture of the other side,” he said, seemingly insinuating the political culture of Peninsular Malaysians who often bicker on social media. “You see in Facebook, they quarrel and that is wasting time,” he said, and reiterated that politics should instead be used as a platform to move forward and to provide services needed by the people. “With a stable and good political environment, we can enhance our economic development. This will in turn benefit everyone provided that we all work hard,” he said. Abang Johari also noted that for Sarawak to become a developed state, the people must keep themselves abreast with the latest developments happening in the world. This, he said, was one of the reasons he came up with new visions which focus on transforming the state’s economy into digital economy. “I am focusing on the digital economy to upgrade our infrastructure so that we can have high-speed internet. This is very important because it addresses all spheres of businesses including services, manufacturing and so on. Abang Johari later witnessed the swearing-in of new KCGCCI office bearers which is led by the newly elected president Tan Jit Kee. Abang Johari’s wife Datin Patinggi Dato Juma’ani Tuanku Bujang, Local Government and Housing Minister Datuk Dr Sim Kui Hian, Assistant Minister of Industries and Investment Malcolm Mussen Lamoh and KCGCCI immediate past president Datuk Wee Kok Tiong were also present at the function.